When embarking on writing an article for TF, one of the first tasks is to setup tags and a category for the piece so it makes it easier to find. When selecting the “anti-piracy” category the story content is usually enforcement-focused, so it makes a really nice change to use it for something positive. China and piracy are topics that often run hand-in-hand and as a result the country is subjected to endless criticism from the world’s largest entertainment companies. Figures of up to 99% piracy on certain products are thrown around like confetti making tackling the Chinese infringement issue a seemingly impossible task. However, it doesn’t have to be that way and things are beginning to change. At the turn of 2014 and following an investigation into the streaming of unlicensed content, the National Copyright Administration of China labeled the QVOD video platform and Baidu, China’s largest search engine, as 2013′s top copyright infringers. In a parallel lawsuit filed with the help of the MPA, both services were fined $41,000 for copyright infringement, the maximum currently permissible. Then something interesting happened. Just days later Sohu Video, a local platform with 389 million users, announced it had secured licenses to show NBC’s Saturday Night Live. Other deals to show The Walking Dead and Modern Family to a massive Chinese audience are also in the bag. And now the BBC is getting in the on act too. 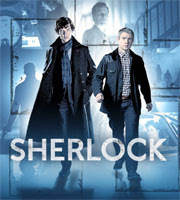 Inspired by a Chinese obsession with Sherlock, its hit show based on the adventures of Sherlock Holmes, the UK national broadcaster is fast-tracking it straight to China and airing it just two hours after it debuts in the UK. The first episode has already been watched millions of times and every single one of those Chinese viewings subtracts from those who would otherwise have chosen to obtain the show from unlicensed sources. This move by the BBC might only chip away slightly at the huge piracy rate in China but it’s a great start and one that shows real potential, as recognized by Sohu.com, the video site that recently licensed Saturday Night Live. “The more content we buy, the less piracy we get,” chief executive Charles Zhang said.